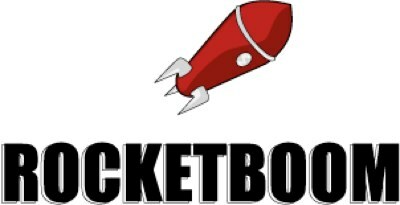 Andrew Baron’s long standing online video news show Rocketboom continues to thrive with news that one of the longest running videocasts is pulling in a neat $1 million a year. Rocketboom has been making money in two ways. 1) Your regular, everyday video sponsorship, especially of slightly more targeted Rocketboom programming, like its New York City-centric fare. And 2) Through client work. I’ve never been a huge fan (personally) of the Rocketboom show but I’ll repeat what I’ve written on other sites in the past: Andrew Baron is a genius in this space and it’s great to see him pulling in this sort of money.